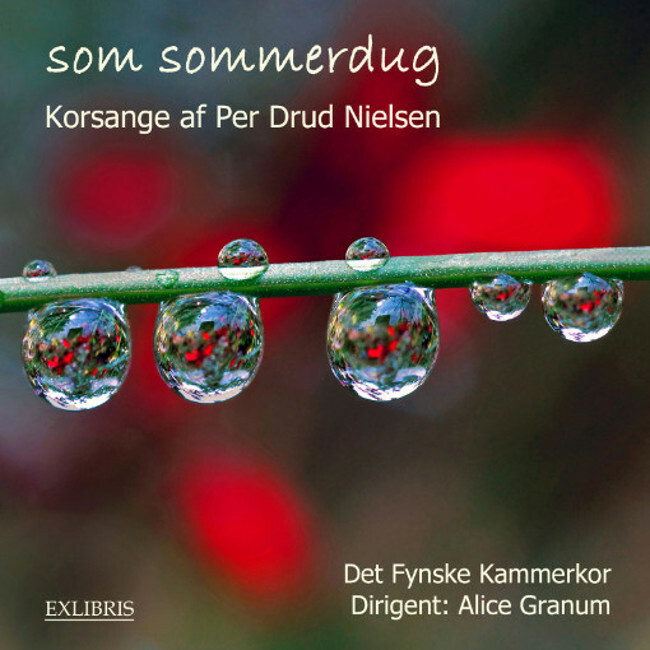 This CD contains choral songs by Per Drud Nielsen with texts by e.g. William Blake, Christina Rossetti and Giuseppe Ungaretti. It also contains three motets based on Paulus’ text about love in 1 Corinthians 13. 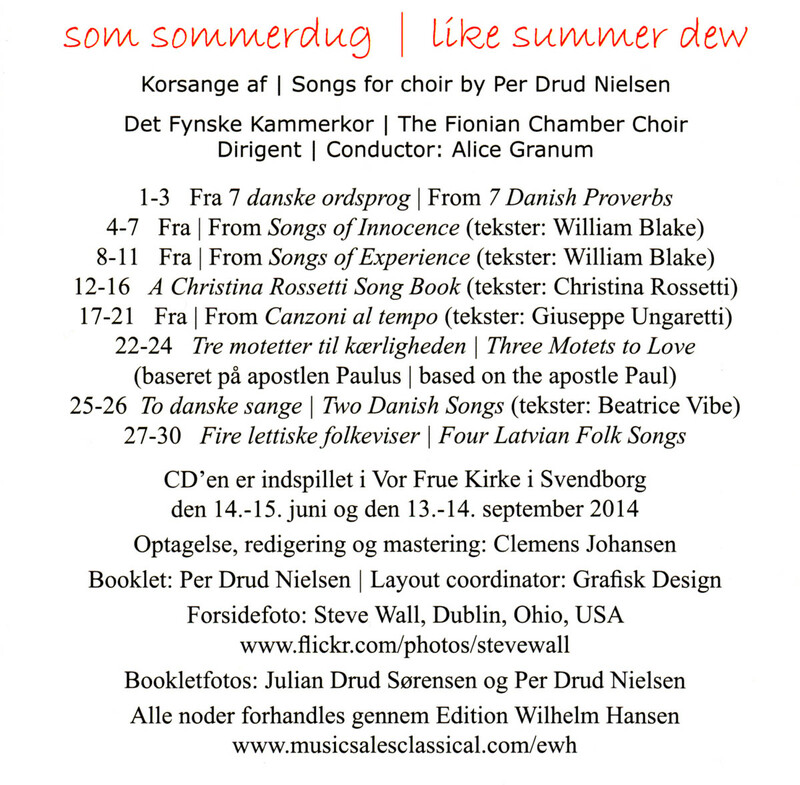 The CD has been released on Exlibris Musik (EXLCD 30165) and can be purchased from Per Drud Nielsen and Exlibris.